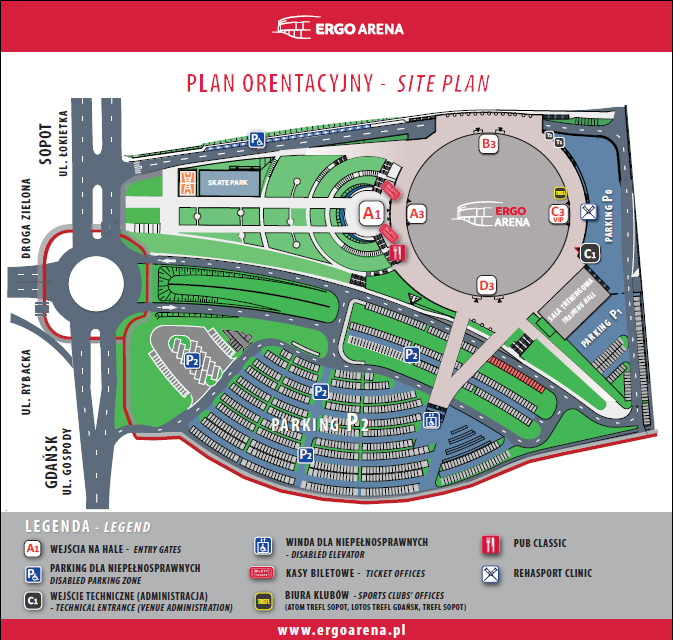 Reaching ERGO ARENA from Gdańsk is possible either from the so-called Zielona Droga or the Gospody Street. When coming from Sopot one has to either head the Zielona Droga or the Łokietka Street. Our handicapped visitors are allowed to enter the car park for free if they have and a card and a vehicle license plate. For more information about parking and the traffic please check the descriptions of our events. Get your own parking pass on advanced sale – make sure it’s cheap and guaranteed! A guaranteed pass, special entry from Gospody Street, saving both: money and time! Consider our offer and get your own parking pass for a special parking spot around ERGO ARENA. 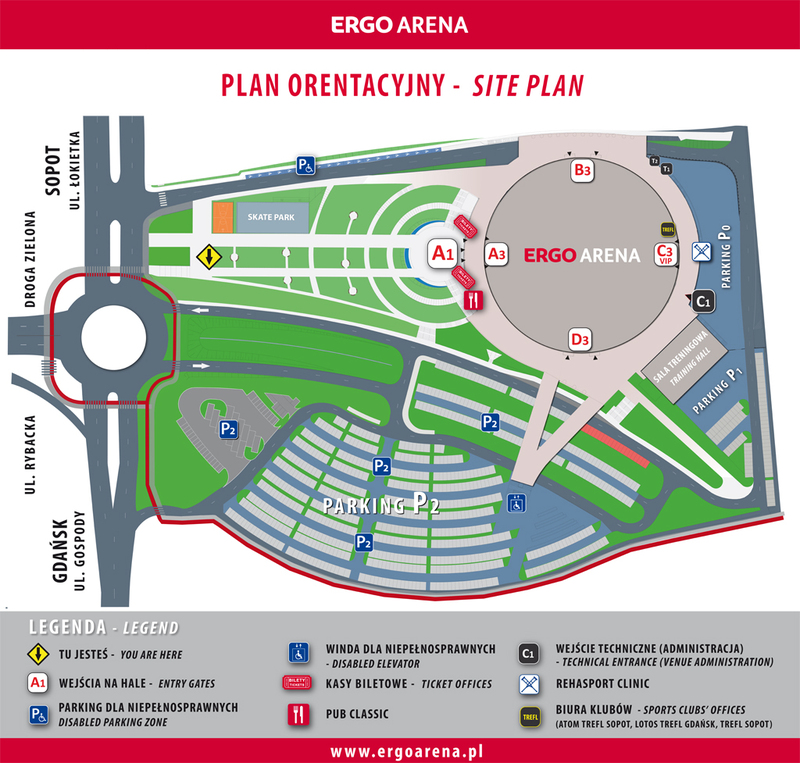 The passes are available via www.eventim.pl as well as in the ERGO ARENA’S ticket office no. 3. The advanced sale finishes one day before the event. Such passes will be available only before selected events. 2019 © Wszelkie prawa zastrzeżone.